Graduated Dokkyo Univ. law faculty B.A.. Completed Psychology & Physics Color Course of The Color Science Association of Japan. Studied at Housing Academy, Interior and Architecture Dept., about environmental color theory and total color coordinate theory in Tokyo. 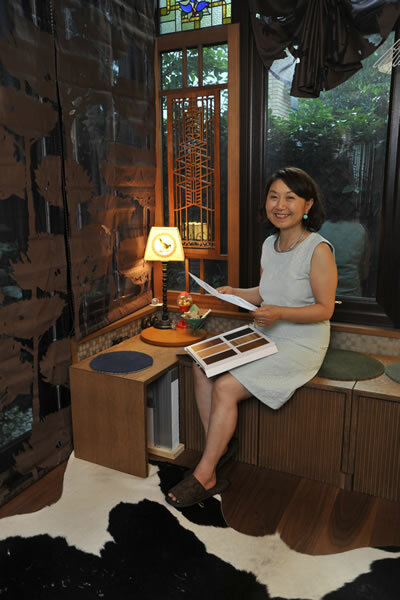 Engaged in interior design projects such as Leman Lake Villa, based on studies in Europe at Cambridge Institute in the United Kingdom and Ecole Dubois in Switzerland, etc. IBM Japan-Laboratory, Grey Word Wide Advertising Company- Media Planning, Swarovski Japan- GM of Branding, Color Space WAM- GM of Total Color Design such as town planning, interior and exterior design etc. -Trend analysis for the markets，etc.